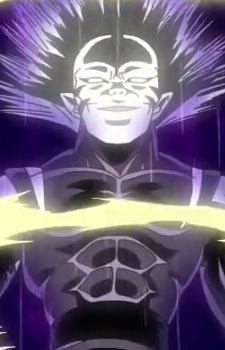 One of the Seeds of Darkness to have been created by the Dark King after the first time Cure Black and Cure White defeated him. He is the leader of the three Seeds, and apparently the strongest. His main color is purple, and he gets rather irritated with Regine and Juna sometimes. His human alias is Yuuki Hidehiko. He and the others use Pretty Cure and the mascots to call upon the power to create later in the series, using a pile of destroyed furniture to mimic the hill of light. At the end of the series, they morph into one being and try to overturn the Dark King with the power to create, but fail, being killed in the process. When he fusions with Regine and Juna, all his body, including hair, became dark black.